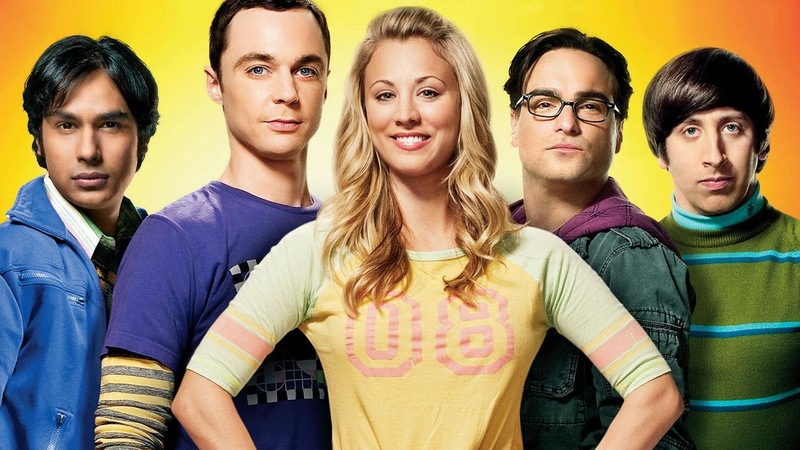 Rachael Slough: The Big Bang Theory: My Son Has Found His "Penny"
People in the autism community either love The Big Bang Theory, or they hate it. I love it. The show never specifically says Sheldon Cooper has autism, but it can be inferred that he has something along the lines of an undiagnosed high functioning autism spectrum disorder and/or OCD. He is hilarious, and gives he me some hope. Okay, odds are that Brandon isn't going to grow up to be a quirky genius scientist. But hey, it's fun to imagine his life that way. It's particularly comforting to imagine him surrounded by friends who love him, and accept him for who he is. Albeit, he annoys the crap out of them on a daily basis, but they love him dearly. Penny is the next door neighbor who doesn't take any of Sheldon's crap. She pushes him to be better - to be open to new experiences. Watch this video when Penny hugs Sheldon to see what I'm talking about. Sheldon's lack of social graces is what makes this show. I've always said that I hope Brandon has a "Penny" in his life to look out for him and challenge him. Well, he's found her in preschool. If he tries to ignore her she says, "Brandon, you better give me a hug!" You tell him, Lisa. You make that boy hug you. Don't let him get away with ignoring you! Brandon has a special relationship with her. He smiles and laughs with her more than any other kid I've seen besides his cousin, Karson. Brandon doesn't always know how to engage in social situations, but that doesn't bother Lisa one bit. She makes sure he has fun with her. For this reason alone, I cannot stress the importance of typically developing peer models. In other words, Brandon has a role model he can look up to and feel comfortable with to help him navigate this confusing social world. Brandon is mostly nonverbal, but he is very rapidly starting to say different words when prompted. But, the other day in circle time, when his teacher asked all of the children what they love about school, no one would have expected Brandon to give an answer. Brandon kept speaking in "babble," saying the same thing over and over. After the fourth time of the same repetitive sounds and the same rhythmic tune, the teachers were able to make out what he was trying to say..."I like to see Lisa!" They asked him, "Brandon, do you like to see Lisa?" He ran right up to Lisa, put his face close to hers, and smiled. My little boy said, "I like to see Lisa!" That is a sentence! It may have been very hard to make out, but it is still an enormous accomplishment. Brandon being willing to try to talk is the most important hurdle. Think about how this story could have gone completely differently if Brandon had not be blessed with the most dedicated and caring teachers. Can you imagine how my son felt, knowing that he spoke his mind and someone finally understood him? This child is blossoming right before my eyes. After reading this story, I cannot think of a better way to start my day! Brandon has such a bright yet challenging future ahead of him and I can't wait to share it with him. It is for the reasons mentioned above, (that he is blessed with the most caring and dedicated people,) that will cause him flourish!!! They say the teacher is the most important factor in a child's education...without them Brandon wouldn't be where he is today! Oh Rachael, you made me cry. I love the Big Bang Theory. Our Kaden is a yet to be diagnosed Sheldon and I too hope that he finds his Penny. Hi Laura! I remember you telling me Kaden had ADHD...are you starting to think autism? So cute! Very sweet post, thank you!